Since 1915, employees injured on the job in Oklahoma have been entitled to workers’ compensation for medical care and other costs. And as surely as the sun will rise, some employers will try to evade their obligation to care for injured workers. That’s when you need a Tulsa workers’ compensation attorney. offer a settlement based on their doctor’s assessment while never telling the employee that they can ask the injured employee’s own doctor to provide a rating for the injury. discourage injured employees from seeking the advice of a qualified workers’ compensation attorney. If you’ve been on the job, you need to know your workers’ compensation rights and how to get the compensation the law provides for injured workers. Medical Treatment.Employees are entitled to medical treatment until they recover as fully as possible. An employer gets to select the the first treating physician, but a worker may change physicians once to get a second opinion — even after the first doctor has released them from medical care. Travel Reimbursement. When an injured worker must travel to another community for medical treatment, the employer or employer’s insurer must reimburse travel costs — at the IRS mileage rate. Temporary Total Disability (TTD) . If the doctor determines that an injured employee is unable to work because of medical reasons while still receiving treatment, the worker may be entitled to temporary total disability payments. TTD benefits pay for the time you are off work for medical treatment. While temporarily disabled, workers are entitled to as much as 70% of your usual wage, up to a maximum of $717 per week. If you are only partially unable to work, you may still be entitled to TTD benefits if the employer doesn’t provide work you are able to perform while undergoing treatment. Temporary Partial Disability (TPD) . If an injured employee is able to return to work, but can only work part-time or otherwise can’t work as much after an injury, TPD benefits can pay 70% of the difference between wages before and after the on-the-job injury. Permanent Partial Disability (PPD) . After an injured workers reaches “maximum medical improvement” and is discharged from medical care, the worker may still be entitled to compensation for any permanent limitations or physical impairment — which is often the case if the treatment included surgery. PPD benefits may provide several hundred of dollars, $100,000 or more in compensation. Continuing Medical Maintenance (CMM). Injured workers are also entitled to any medical services or medications a doctor prescribes on an on-going basis after treatment is completed — paid for by the employer or employer’s insurer. Vocational Rehabilitation. If an work-related injury prevents you from doing work similar to the work performed prior to the injury, workers’ compensation benefits may entitle you to job placement services and training, or schooling for other types of work. Permanent Total Disability (PTD) . If an injured worker can’t resume paid employment after completing medical treatment and sometimes vocational rehabilitation, the worker may be entitled Permanent Total Disability benefits. PTD benefits can provide as much as 70% of their previous average wage — up to $359.00 per week. Death Benefits. If a spouse or parent was killed on the job, survivors may be entitled to benefits under the Workers’ Compensation Act including funeral expenses, a lump sum payment and ongoing weekly payments based on average wages paid before the accident. If you have been injured at work and are not receiving the benefits to which you are entitled, seek the skill, counsel, and representation of a qualified Workers’ Compensation lawyer. 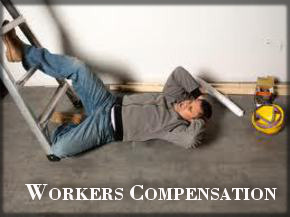 Get a free case evaluation from an Oklahoma Workers’ Compensation attorney today. Call (918) 879-1681 now. When you’ve been injured on the job and an employer has denied benefits to which you are entitled, the last thing you can afford is to pay an attorney out of pocket. We know this. We only bill workers compensation cleints based on money we collect — when we collect it. There’s nothing to lose when there’s no up-front fee for legal representation. If you’ve been denied workers comp benefits to which you are entitled, contact a workers’ compensation attorney immediately. Call for a free evaluation to find out what an employer might owe you, and how get the medical care you need. Call (918) 879-1681 today. For a free consultation with an Tulsa, Okla. workers comp attorney regarding an on-the-job injury and Oklahoma workers’ compensation benefits, call the Wirth Law Office – Tulsa at (918) 879-1681 immediately.